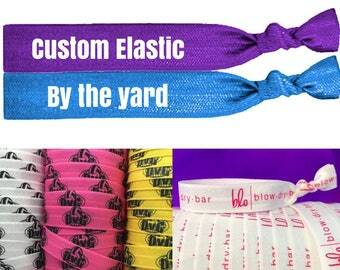 We Specialize in Custom Elastic Hair Ties which can be used as promotional products. Any logo, design, phrase, etc will work! The Minimum for custom printed orders is 100 Hair Ties per design. Hair Ties are our absolute specialty! They are pretty much our life, and we love making and wearing them! MissPonytail Hair Ties are perfectly stretchy and work for all hair types. They also double as fashionable bracelets! 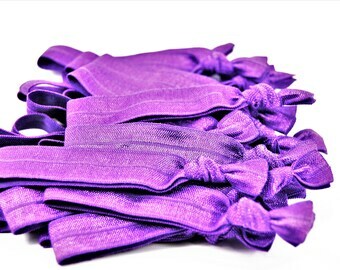 Our Hair Ties are very soft, and are much less likely to pull your hair or leave a crease. We take pride in our meticulously hand-knotted Hair Ties. We do not print our own elastic, but we have an excellent elastic supplier. Working on 1000s of new LULAROE Hair Ties! MissPonytail hair ties double as fun, trendy bracelets! Many colors to choose from! Please let us know if you are looking for anything in particular! missPonytail Hair Ties won't snap or break! MissPonytail.com Offers Handmade Elastic Hair Ties that are fun, trendy, and great for all types of hair! Handmade in Pittsburgh, PA.
To fulfill your order, you must provide me with certain information (which you authorized Etsy to provide to me), such as your name, email address, postal address, payment information, and the details of the product that you’re ordering. You may also choose to provide me with additional personal information (for a custom order of hair ties, for example), if you contact me directly.